We have been entering the age of e-cigarette. 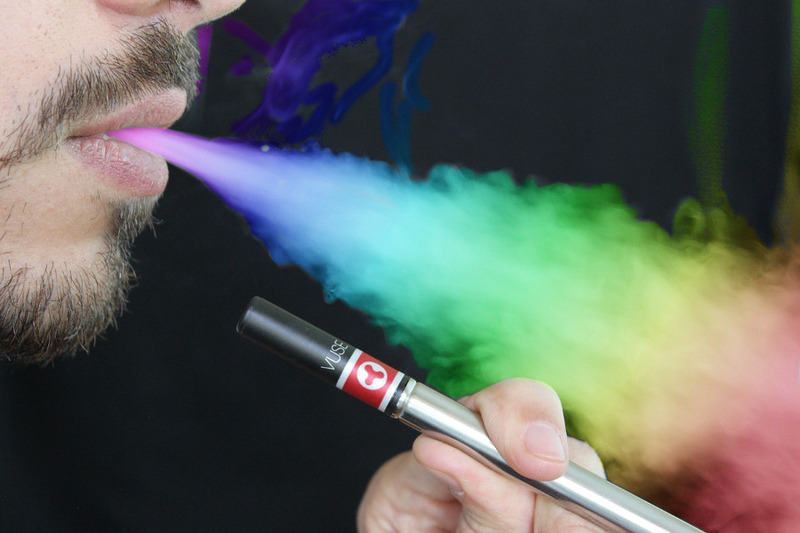 Typically, an e-cigarette is able of resulting more smoke than conventional cigarette. As a photographer or image editor, you sometimes are interested to play your creativity seeing a huge amount of smoke coming out from someone’s lips. One of creative ideas you can do with smoke — especially if the smoke is in a huge number — is to turn the smoke into colorful smoke, like a rainbow. 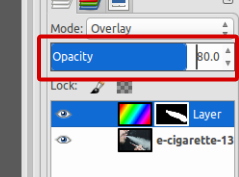 In GIMP, you can do so by setting the gradient type on the Blend Tool to “Full saturation spectrum CW”. But first, you need to create a transparent layer and create a layer mask of the transparent layer. 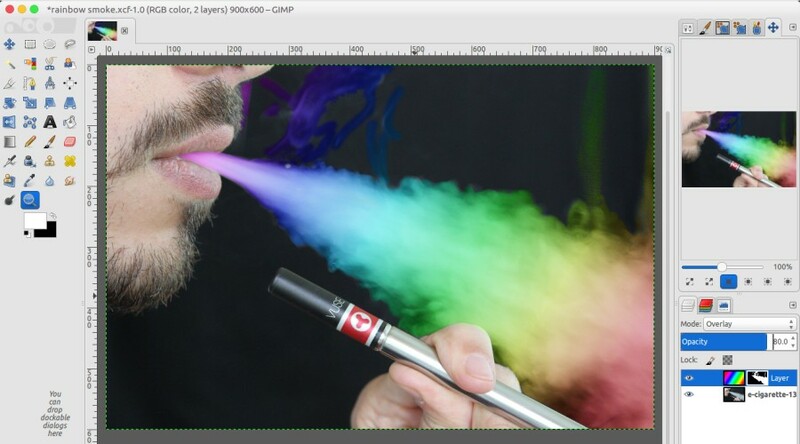 Since you want to edit a smoke photo, the very first thing you need to do is to prepare the smoke photo itself. If you have a smoker friend, you can ask him/her to be your model and take a photo of him/her. The end result of the editing process would be perfect if you use a black background on your photo. Launch GIMP and open your photo by going to File -> Open. 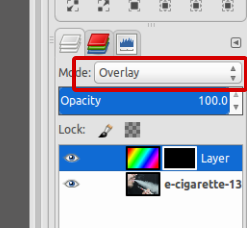 Create a new transparent layer by going to Layer -> New Layer. 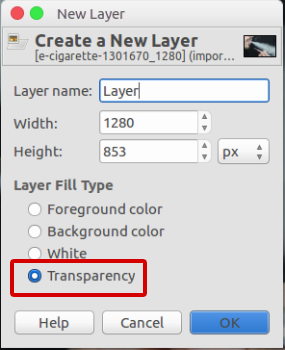 On the appearing pop-up dialog, select Transparency on the Layer Fill Type section. 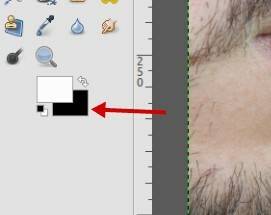 With the new transparent layer selected, click the Blend Tool on the Toolbox panel. Set the gradient to “Full saturation spectrum CW”. With the Blend Tool selected, click on certain spot on the canvas area and drag to another spot to apply the gradient (see the screencast below). With the transparent layer selected (which now has been filled with the gradient), go to Layer -> Mask -> Add Layer Mask. 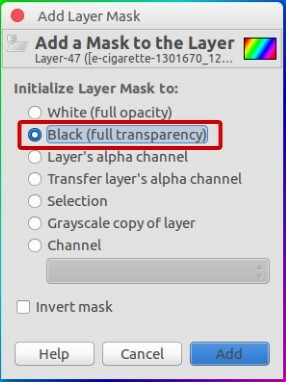 On the appearing pop-up dialog, select the Black (full transparency). Change the layer mode to Overly. Make sure the background color is black. 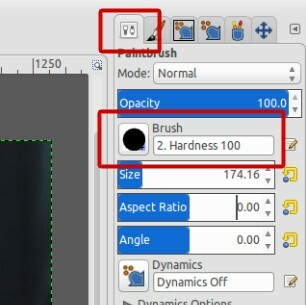 Select Paintbrush Tool on the Toolbox panel and set the brush type according the smoke area you want to brush. You can use a combination of brush types and sizes on the brushing process. With the Paintbrush Tool selected, brush the smoke area. 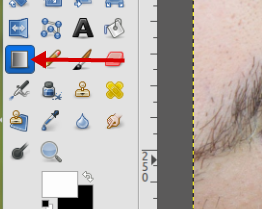 To recover the area you have brushed, you can use Eraser Tool. Once you are done with the brushing process, set the opacity of the transparent layer. That’s it. Following is the example of the photo I edited.